As a follow-up to a $50.6 million corporate settlement in 2010, the U.S. Government now has filed suit under the False Claims Act against two former executives of Louis Berger Group, Inc. (LBG) for conspiring to overbill the U.S. Agency for International Development (USAID) and other government agencies for costs incurred performing reconstruction contracts in Afghanistan, Iraq, and other countries. The government’s complaint alleges that Derish M. Wolff and Salvatore J. Pepe, respectively the former CEO and CFO of LBG, designed and directed various accounting schemes that resulted in the company billing the government for indirect overhead costs at inflated rates. According to the complaint, Wolff and Pepe shifted portions of salaries of LBG executives and accounting personnel from contracts paid for by foreign and state governments and private entities to contracts paid for by the United States. Wolff and Pepe allegedly certified the false rates and submitted them to the government in annual financial reports. In November 2010, the U.S. resolved criminal and civil claims against LBG arising from this conduct. At that time, LBG entered into a Deferred Prosecution Agreement and paid $50.6 million to resolve False Claims Act allegations. Pepe pleaded guilty on that date to a charge of conspiracy to defraud the government and was later sentenced to one year probation. Wolff pleaded guilty to the same charge on Dec. 12, 2014, and was later sentenced to 12 months of home confinement and required to pay a $4.5 million fine for his role in the scheme. The complaint filed on July 28, 2016 asserts civil claims against Wolff and Pepe. The government filed its complaint in a lawsuit originally brought under the qui tam, or whistleblower, provisions of the False Claims Act, by Harold Salomon, an LBG accountant from March 2002 to October 2005. Under the Act, a private citizen can sue on behalf of the U.S. and share in any recovery. The U.S. is also entitled to intervene in the lawsuit, as it has done in this case. 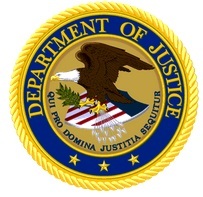 This matter is being handled by the Civil Division’s Commercial Litigation Branch and the U.S. Attorney’s Office for the District of Maryland, with investigative support from the FBI, USAID’s Office of Inspector General, the Defense Criminal Investigative Service and the Defense Contract Audit Agency. The case is United States ex rel. Harold Salomon v. Derish M. Wolff & Salvatore J. Pepe, Civ. No. RWT-06-1970 (D. Md.). The claims asserted against Wolff and Pepe are allegations only to the extent not admitted in their criminal pleas, and there has been no determination of civil liability.